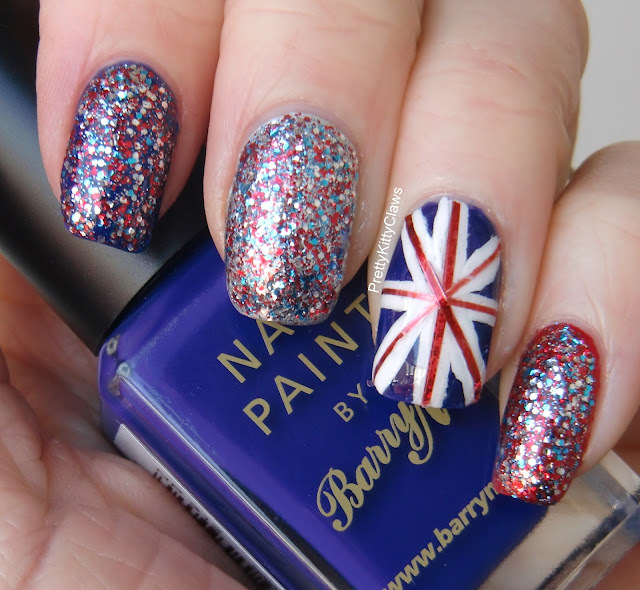 Well there is an air of excitement in the UK this weekend, firstly because we have four, yes I said FOUR days off and this is because of our good Queen Elizabeth II has reined for an amazing 60 years and thus we are having her Diamond Jubilee celebrations. 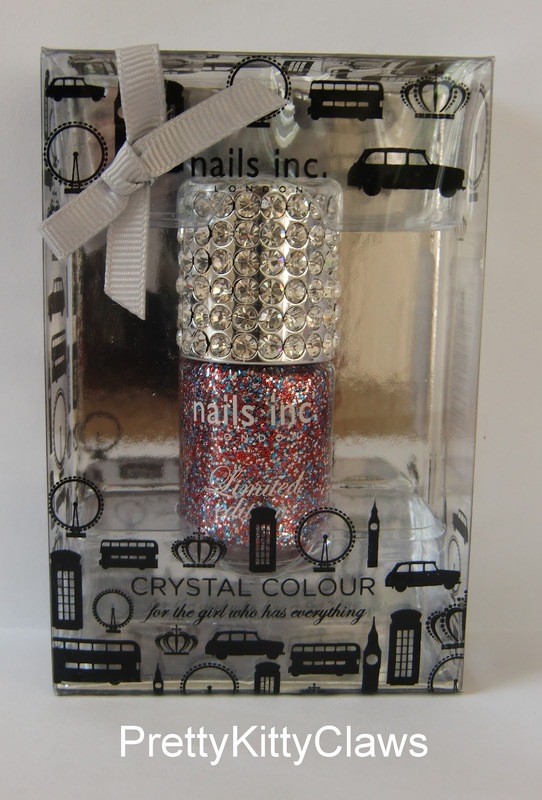 Nails Inc released a special edition crystal capped Jubilee glitter polish, it has red, silver and blue sparkles and is just so pretty. It is pretty expensive at £15 but when I saw the box I knew I had to have it. It's gorgeous! 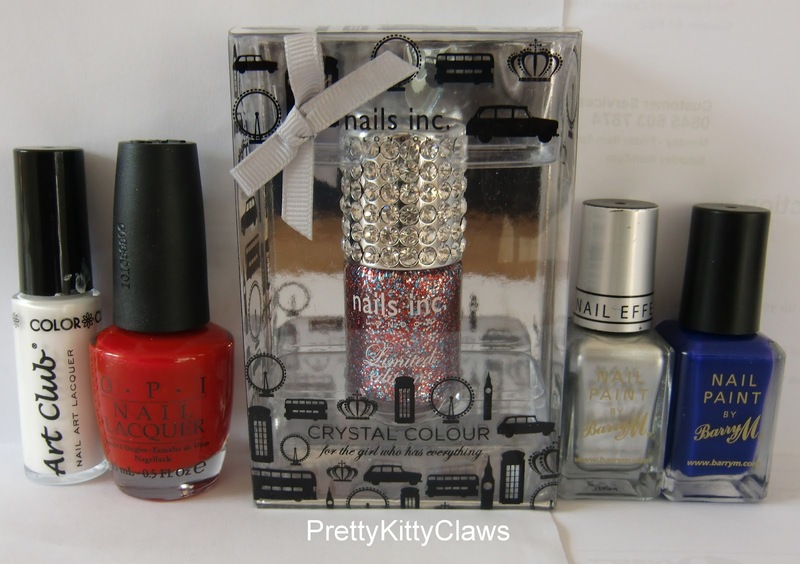 Color Club White Nail Striper, OPI Big Apple Red, Nails Inc Jubilee Glitter, Barry M Slver Foil and Barry M Indigo. 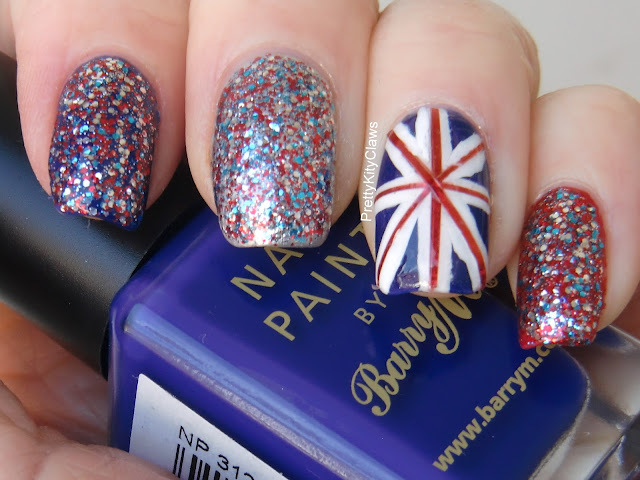 For the Union Jack I also used a red striping tape. And this was just some of the fun my boyfriend and I had this weekend!! lmao love the pic! 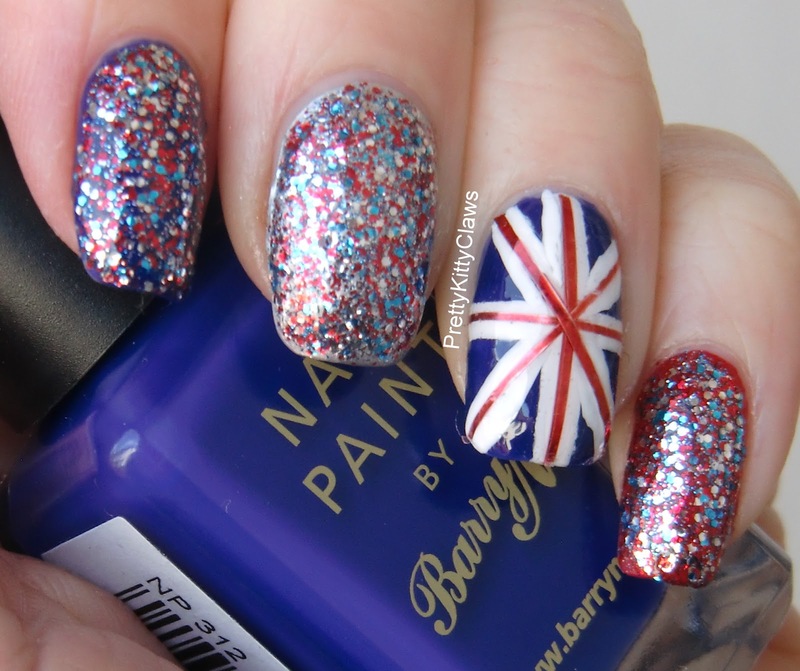 I'm sure it is a lot of fun,love the mani and the nails inc glitter wow!